My parents and I all ordered the Pho So 1 Combo in the Large size. The large size is only 50 cents more! I think they just give you more noodles, hence the small price difference. The Pho on it's own is $7.50 and the combo is a dollar more because you get a spring roll. Their portion sizes are huge! 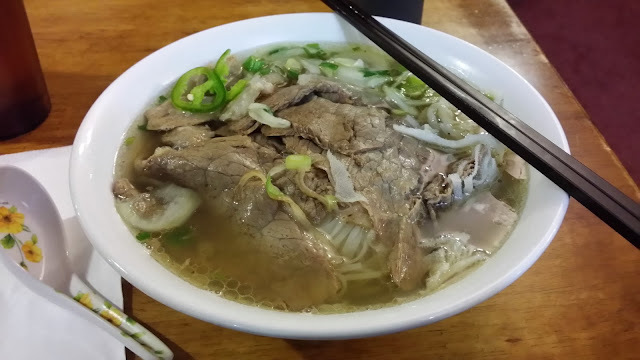 You get so much meat, that it's almost overwhelming haha!The Pho So 1is a combination all the meat that's available, there's thin beef slices, beef balls, tendon, and intestine! I really enjoy the beef balls and tendon, as they're insanely chewy. The thin beef slices fall short, they're slightly on the dry side and lack flavour but I remedy that by adding a ton of hoisoin sauce. 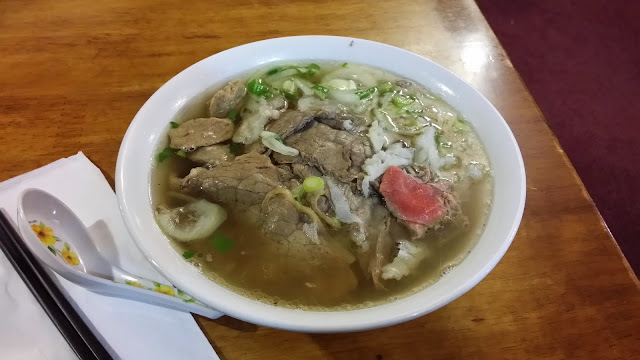 The soup is really potent and you can definitely taste the beef broth! The texture of the noodles are wonderful, they're smooth, not gummy or limp. 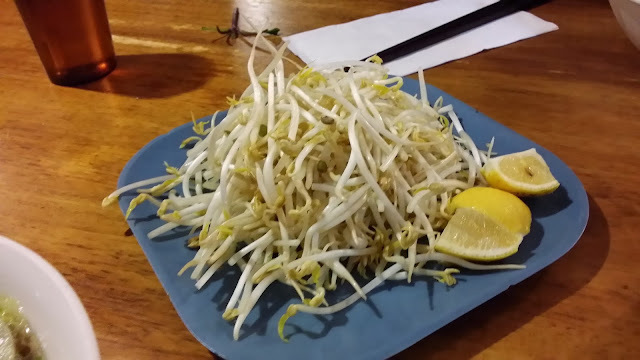 We got a huge plate of bean sprouts for our three large Phos. We also got 3 sides of Spring Rolls. The Spring Rolls here are my favourite! The exterior shell is perfectly crispy and crunchy. The filling is beef with vegetables, really flavourful. I also really love their fish sauce, so much so that I had to ask for seconds! The verdict: Definitely one of the best Pho places in Burnaby! Really cheap and filling, a winner in my opinion! The interior could use a update, but overall: awesome!